By using free, widely availabe, cross platform technology we have presented a novel method for engaging trainees. Our virtual classroom is free from the constraints of a traditional classroom and facilitates discussion at a time and location that is convenient for the trainee. The use of hyperlinking within a tweet enables quick sharing of information, images, documents or podcasts which can easily be organised and saved for later consumption. 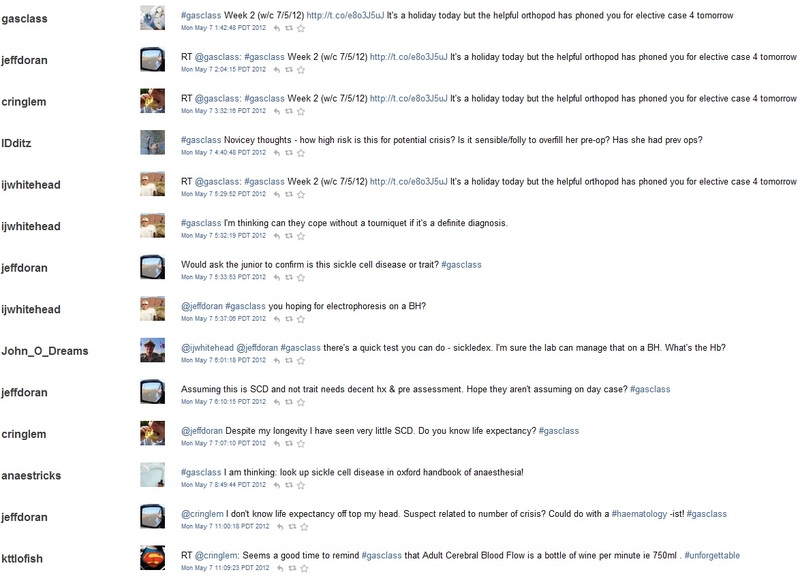 Gasclass, which launched in October 2011, is a weekly online case based discussion for use by anaesthetists of all grades. It began as an experiment using new technology in response to a perceived reduction in training opportunity and classroom time by trainees. The challenge was to think of new convenient ways in which an educational conversation could be held whilst removing some of the constraints of a traditional classroom. The format of the weekly lesson is case based discussion. Initial case details are posted on a blog page but the case discussion takes place using Twitter. Each scenario takes place over 3 or 4 days and invariably ends with some form of clinical conundrum. The discussion increases in difficulty with the opening questions aimed at junior trainees, progressing to further discussion at final FRCA level or above. 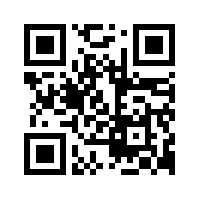 Scan the QR code to visit our case summary page and hit more detail to see an example conversation. Smartphone technology provides an easy way to facilitate an educational discussion. We have demonstrated the relative ease in which a world wide virtual classroom can be created. A similar model could easily be adopted in other areas of medical education. We would like to thank all those people who have contributed to gasclass so far & we look forward to contributions from new followers in the future. 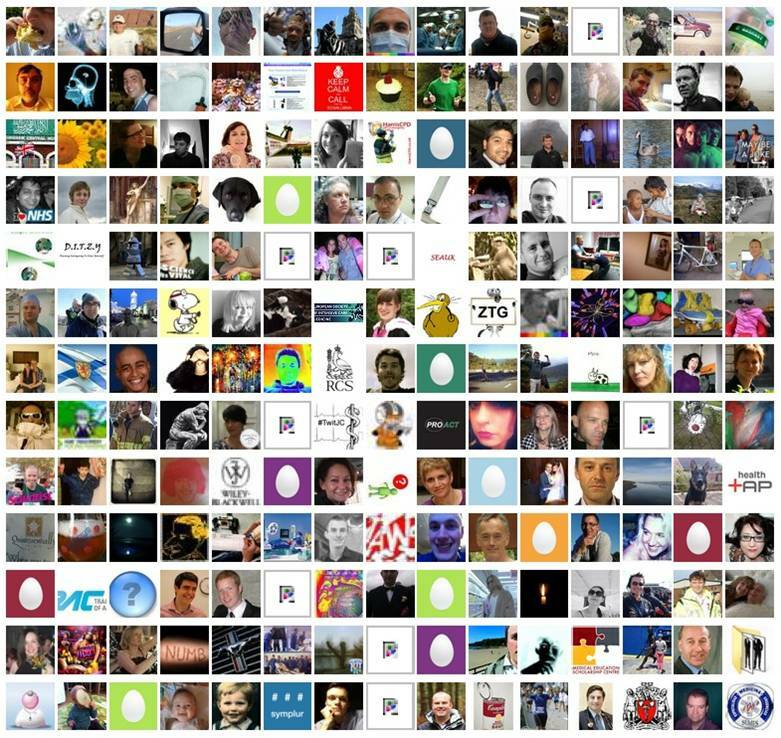 We have had a consistent increase in follower numbers since launch and at the time of writing we have over 460 followers with over 200 people contributing to the actual discusssions. Feedback from trainees strongly suggest that participating in an eductional discussion via twitter helps tp facilitate familiarity. Through this familiarity they have been able to go on and build a personal information feed. This in turn encourages networking with like minded individuals and helps promotes exploration of previously undiscovered educational resources. One such solution presented itself in the form of Twitter. This simple technology is widely available and free to everyone. Many (but not all) healthcare professionals are already familiar with it and it is increasingly recognised as a powerful information tool in medical education1. Just as importantly twitter works across multiple platforms and is optimised for use on a smartphone or tablet. Our aim was to create a virtual classroom that was no longer limited by geographical borders and is time flexible. All cases are completely theoretical and we attempt to cover the range of sub-specialities within anaesthesia and critical care. The inclusion of a phrase with # as a prefix refers to a hashtag and is used to identify conversations with a particular theme or topic. We use #gasclass to identify the case discussion and by setting up a search for this topic, users can view responses easily in chronological order. After surveying our users, we showed that the majority of access was via tablet or smartphone. By using these relatively new cross platform technologies we have managed to create an environment where an educational discussion can take place at a time and location that is convenient for the user.